Join us for a rare opportunity to view the entire collection in one place! Step on up! Must See! Mity Wee! Rare Occurrence! 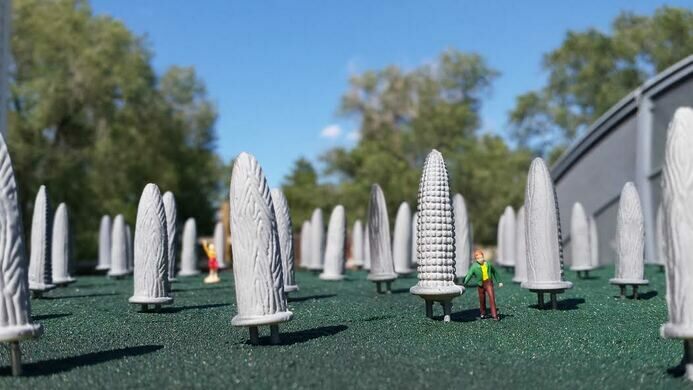 In celebration of Obscura Day, the ENTIRE World's Largest Collection of the World's Smallest Versions of the World's Largest Things will be gathered together in one spot, available for viewing and associated storytelling. This travelling collection is housed in a fleet of mobile museums, semi-mobile circus wagons, and gallery-ready trunk show. 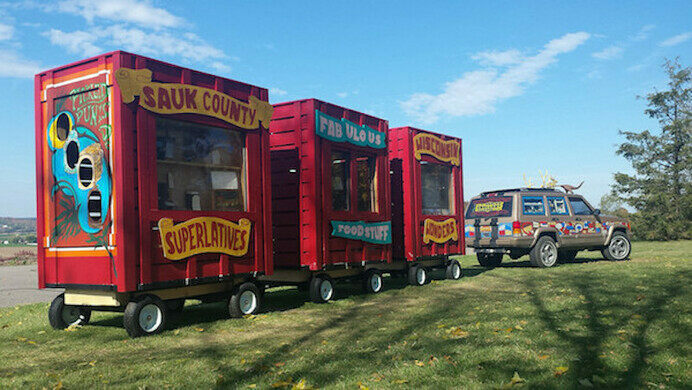 Permanently installed displays at the Home Base will be joined by the current Jeepalope Mobile Unit housing 35 tiny replicas of World's Largest kitschy iconic monuments from across the country, and two new Circus Wagon installations housing an additional 40 mini-monuments. Visit the Art Car Yard, home to the original (now retired [9 mpg does not make for an efficient mobile experience]) Mobile Museum Unit housing Texas, Minnesota, and California displays (35 more replicas - and growing!). 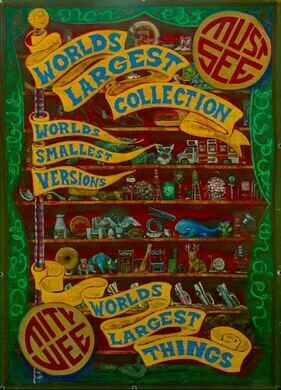 Wind permitting, the traditional hand-painted Sideshow Extravaganza banners will also fly, with accompanying oddities and Freak Show Trunk Show. THIS IS AN EXTREMELY RARE OPPORTUNITY! Perpetual rotating tours with artist and curator Erika Nelson will be available throughout the day. This event is free, but RSVP is highly recommended! Start on the front porch, and follow the Boardwalk through the outdoor display area and subsequent Art Car Yard.